amazingly talented Courtney Allison. Courtney started her blog on a whim, by the urging of her sister. a moment to be carried away on her journey with her. It’s a mini vacation from all the stresses of life. 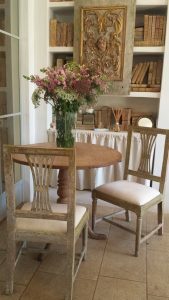 To see Courtney’s beautiful photography and inspiring tablescapes is something quite special. 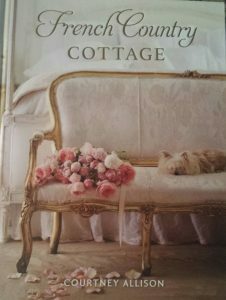 Courtney’s new book “French Country Cottage” is a must read and a must addition to your coffee table book collection. It is in fact a mini work of art. Please order your copy ……here and get ready to be taken on a beautiful adventure into her lovely French Country Cottage. 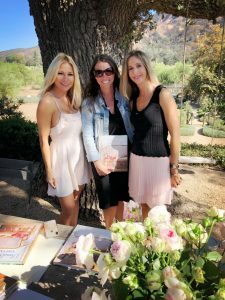 of Giannetti Home They graciously opened their home and farm to all 500 of us at Patina Farm to host Courtney and her Book Release signing. 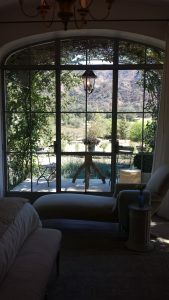 We were allowed to stroll through this gorgeous home and gardens and enjoy some drinks and bites to eat. How incredible is this vignette in Brookes office? chickens on the farm, and then starting your day in the above office? One can dream…. What an incredible day thanks to Michelle at The Bella Cottage and Courtney with French Country Cottage.